Are you busy but love to entertain? Do you have last minute guests popping in? Do you just like to make everything ahead of time? 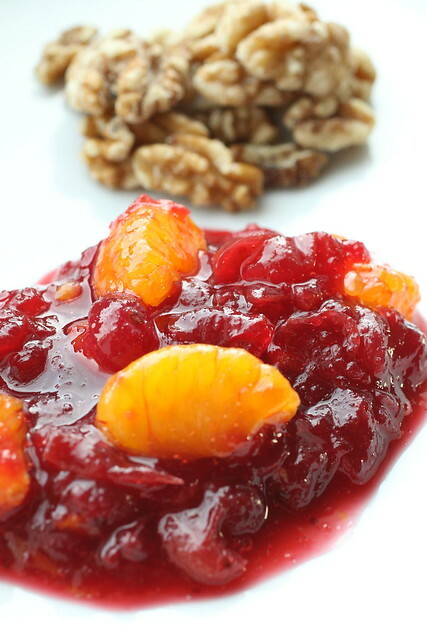 Do you just love easy desserts? (Do you like to ask questions?) I am so excited to share this dessert if any of those apply to you. For Sheryl’s holiday party, I had big plans, dreaming of making something extravagant, but alas, Lon and I got sick, and I spent most of yesterday on my couch. Today, I feel a lot better, so at least I’ll get to go to the party, but now I had to settle for something much simpler to bring. 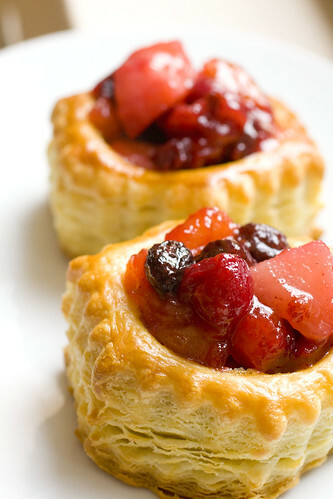 Simple can still be dressed up, and the cranberries add that bit of red to make it more festive. I used the amount of cranberries I had handy, but feel free to add a bit more. 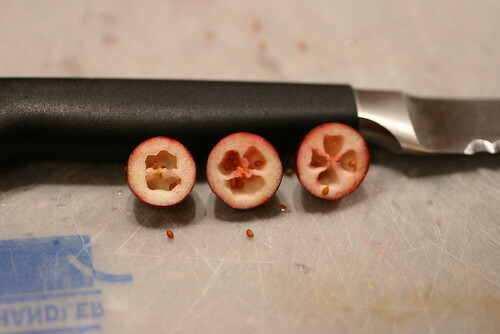 Did you know cranberries looked like this inside? I sure didn’t. Lon’s not a big fan of pumpkin. I like pumpkin but I don’t like pumpkin pie. So, for Thanksgiving, I had to come up with an alternative. This is a beautiful cake and perfect for those who don’t like things too sweet. The light cake, mildly pumpkin flavored, is topped with tangy cranberries and crunchy pecans, a very adult cake (but I bet kids will like it too).